Use Promo Code BUNNY20 to Save 20%! 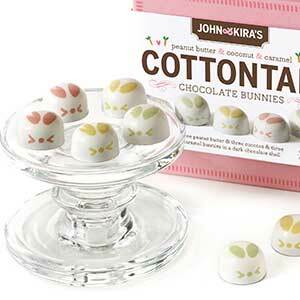 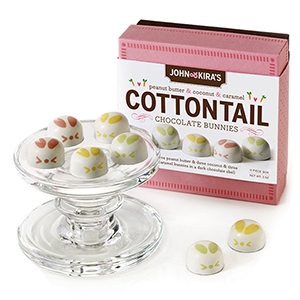 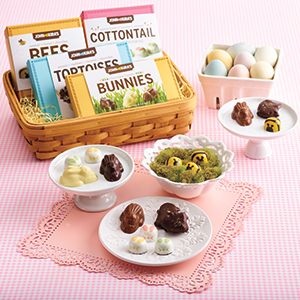 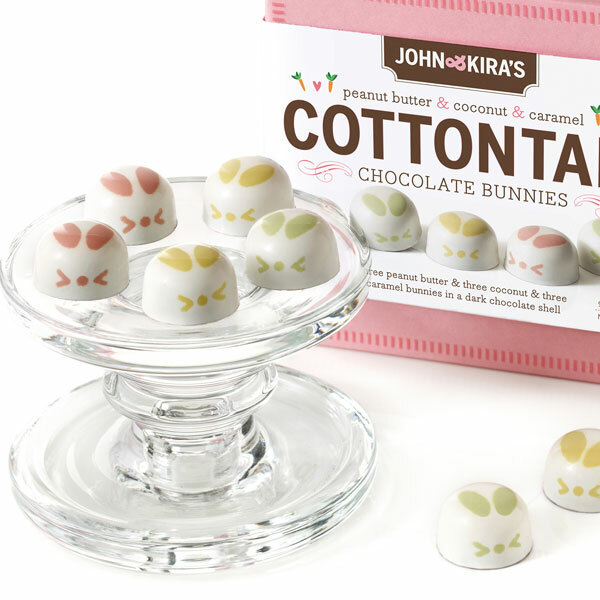 Nestled inside this box are nine irresistibly cute Cottontail Chocolate Bunnies. 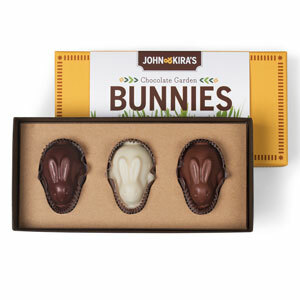 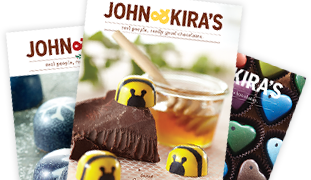 Three peanut butter praline, three coconut ganache and three salted honey caramel centers folded into a dark chocolate shell. 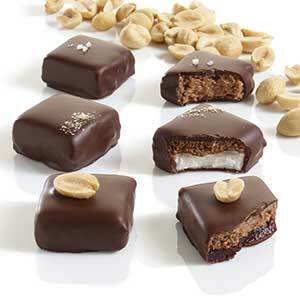 Contains: Tree Nuts - Coconut, Peanuts, Milk, Gluten, & Soy. 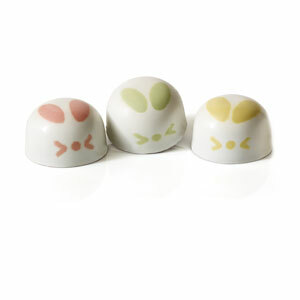 Made on shared equipment with tree nuts.